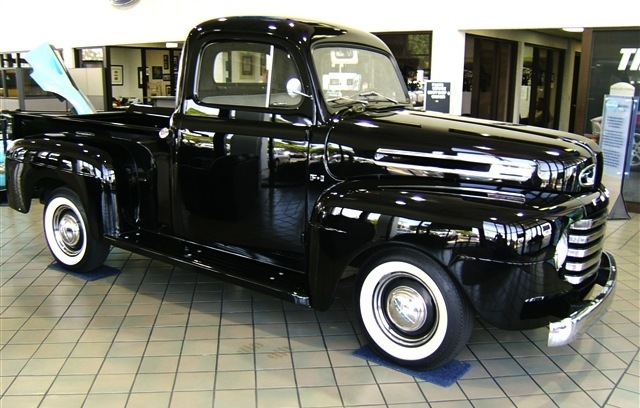 Ford sold over 234,000 1950 Ford trucks. The 1950 Ford F-Series trucks are very similar to the 1948 & 1949 Ford trucks. Models include the F-1 half ton, the F-2 three quarter ton, and the F-3, the heavy duty truck. The biggest difference between the 1949 and 1950 Ford trucks was that the shift lever was moved from the floor to the steering column on the three speed standard. Here is a video we found showing a beautifully restored 1950 F-1. We didn't produce the video but we wish we had a chance to check out this great truck ourselves!